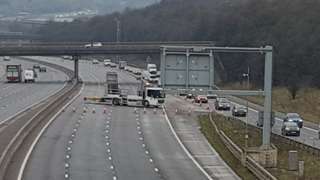 The motorway was shut for eight hours after the multi-vehicle crash in Nottinghamshire. 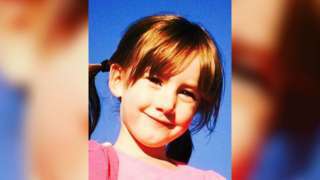 A doctor who discharged a four-year-old hours before she died "wishes he had done more" an inquest hears. Ben Slater and Kraigg Brathwaite combine to give Nottinghamshire a slender lead on day two against Essex. 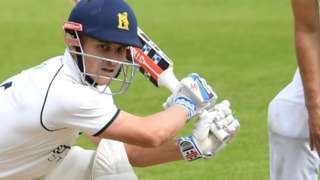 Warwickshire continue to build a substantial first-innings lead against Leicestershire on day two at the County Ground. The live page starts again at 08:00 on Wednesday. A cloudy evening with some further rain tonight spreading from the west. It will become drier and clearer again in places around dawn. Lows of 10°C. Any lingering overnight rain will quickly clear during the morning, leaving it dry and bright with spells of sunshine and patchy cloud cover. Well, the rain has stopped and the fans have arrived at Jubilee Square in Leicester. The Fan Zone has been set up for those coming to the city to watch England play Switzerland in a friendly at King Power Stadium. Increased parking charges in Derbyshire Dales are due to be approved, netting the local authority an extra £214,000 a year. Derbyshire Dales District Council announced plans in July to hike the price for parking for the first time in four years. It will cost the district council £28,000 to make the necessary changes to signage and pay and display machines but it will bring the authority an extra £213,958 every year. The proposed changes are due to be imposed on 1 January. Five people responded to a public consultation and all were critical of the proposals. Mansfield District Council is considering a motion to formally oppose plans for a unitary Nottinghamshire council. The motion's proposer is Stewart Rickersey, a Mansfield Independent Forum councillor. Cllr Rickersey's four party colleagues are also county councillors in a coalition with the Conservatives. They've so far kept the unitary plans alive by voting with the Conservative leader. If this motion passes, that would put pressure on those four "dual hatted" Mansfield Independents to vote against unitary plans in the future. The motion has also been seconded by leader of the opposition Mansfield Labour group, Sonya Ward, so expect Labour councillors to vote for it. M1 Leicestershire - One lane closed on M1 southbound from J19, A14 (Catthorpe Interchange) to J18, A428 (Rugby), because of a broken down car. Traffic is coping well. Police are investigating an aggravated burglary in Glenfield where three men broke into a house carrying crowbars and an axe. It happened on Station Road at about 20:30 on Sunday. The men made threats to people inside the property and asked for access to a safe. One person was hit with a crowbar - he suffered minor bruising. The men got away with a purse and a television. I believe that the offenders deliberately targeted this address in the hope of finding a safe, which is why they armed themselves. This was a horrific ordeal that occurred in the victim’s own home. I would like to speak to anyone who may have noticed anyone acting suspiciously in Station Road either last night or in the days leading up to this incident." All lanes are now open at J24 of the M1 after a crash. A detailed plan to expand the boundaries of the city is currently being put together by Nottingham City Council. It would involve enlarging the city's boundaries to include areas including Stapleford, Gedling, Arnold, West Bridgford and Hucknall. 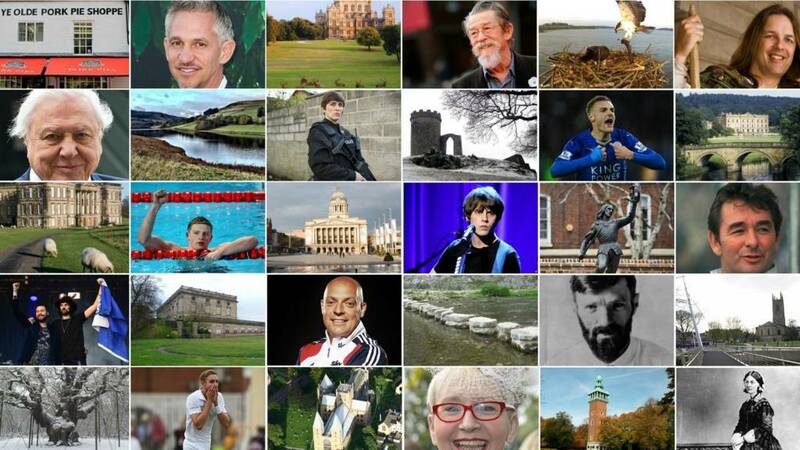 The leader of the city council, Labour's Jon Collins, said it was in response to a plan being drawn up by the county council to scrap district and borough councils and create a new "super council" for Nottinghamshire. The government would likely have the final say on whether either, or both schemes were approved. It is also possible that both would be rejected. Simon Robinson is the leader of Conservative-run Ruschliffe Borough Council, and said the vast majority of people in West Bridgford would be against a plan. He said: "We would reject and fight any expansion of the city into Rushcliffe's boundaries. "I'm absolutely sure the residents of Rushciffe, whether it be West Bridgford or any other area, are very proud to be part of Rushcliffe and certainly don't want to be incorporated into the city. A dwarf wrestling event due to come to Leicester next month has been cancelled "due to the tone of promotion". The "Extreme Dwarfanator Wrestling" show had received criticism from the Restricted Growth Association who described it as a "freak show" from the 19th Century. Skyler Ward, the promoter for the Dwarfanators, argued they were "trying to change society for the better" to give people with dwarfism the same opportunities as everyone else. But Morningside Arena Leicester said it was an "inclusive venue, that welcomes performers and guests from all backgrounds". "However, due to the tone of promotion for the forthcoming ‘Dwarfanators Professional Wrestling’ show it has been decided that we will be unable to host the event," a spokesman said. "In light of the show now no longer going ahead any ticket holders are advised to contact the promoter for refunds." 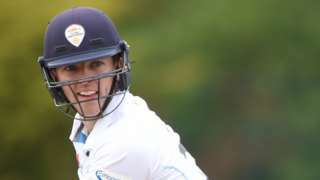 Derbyshire's Alex Hughes reaches 74 not out but only 29 overs are possible on day two against Northamptonshire. M1 Leicestershire northbound severe accident, at J24 for A453. M1 Leicestershire - One lane closed and queuing traffic on M1 northbound at J24, A453 (East Midlands Airport), because of an accident. Police are concerned for the safety of a 14-year-old who has been reported missing from Ilkeston. Tia Lowe was last seen in Cotmanhay Road at around 21:00 yesterday. She is also known to have links to Derby. Police would like to hear from anyone who has seen Tia or knows of her whereabouts. A Coronation Street actor from Sileby has been raising awareness for the children's hospice Rainbows. Charlie de Melo plays Imran Habeeb in the TV soap. His mum works at the hospice in Loughborough and he describes it as "near and dear" to his heart. 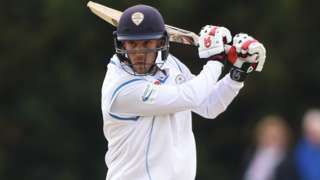 He told BBC Radio Leicester's Ben Jackson: "My mum has worked there for the majority of my life. She works in palliative care giving support to children, young people and their families with the various situations they find themselves in." 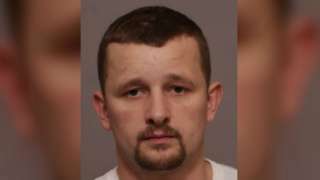 David Devlin is jailed for 22 years after breaking into the house of a woman who scratched his face. The Home Secretary is in Leicester speaking to senior police officials. Sajid Javid addressed a number of serious issues affecting forces such as resources, the training of officers and bonus payments. He still managed to make a few people laugh by confirming his code name isn’t Lavender - a joke relating to the BBC drama Bodyguard.